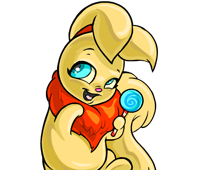 The Neopian community's creativity extends far beyond Neopets.com, with sites covering a tremendous range of themes. Looking for a site with thorough game guides, or a complete list of wearable options for your Neopet, or the lowdown on a Battledome weapon you want to buy? All these and many, many more are out there, which is why we want to tell you all about them! Note: Recommended fan sites may be linked to from the Neoboards, User Lookups, Neomail, etc. Certified fan sites can be discussed by name, but any links to them will be blocked except on this page.